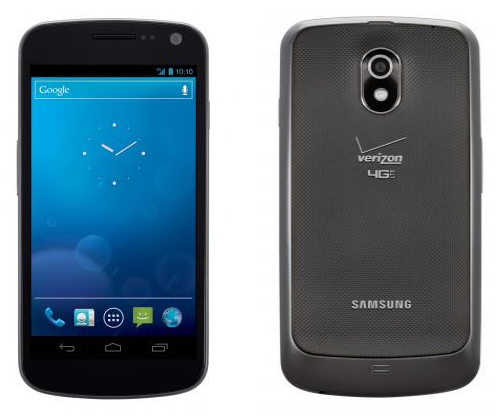 It feels like forever, but the Verizon Galaxy Nexus is finally among us. Hopefully, everyone who wants one was able to get out and grab a GNex of their very own, and have been fooling around with it wanting it to hurry up and charge (hint -- it will charge faster if you leave it alone!). Now it's time to get serious, and there's a few things you should do right away with your new shiny. Hit the break and read along! You know eventually you're gonna want to flash something to your new Nexus, it's inevitable. That's more than half the fun of owning one, and the things you'll be able to pull off are amazing. 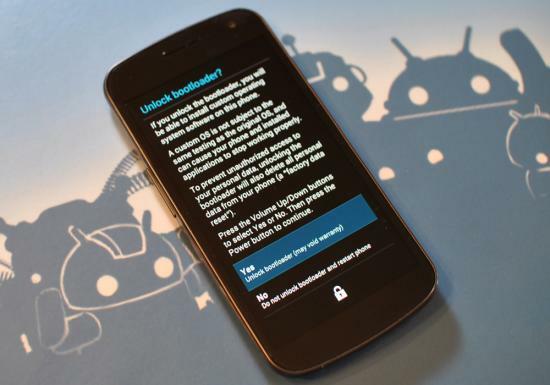 To do it, you'll of course need to unlock your bootloader and root your phone. The root can come later, but unlocking the bootloader erases everything on the phone. Everything. Do it right away, and be thankful you did later. It's also easy enough to reverse should you ever have a need to have a locked bootloader. There's a step-by-step in the forums describing this one, and it's really easier than it looks. As always, feel free to ask questions in the forums thread -- quite the helpful bunch in there. And even if you're not sure if you'll want to tinker, go ahead and unlock. It'll save you from an unnecessary wiping of your phone later. This one's especially for those new to Verizon and might not have an unlimited data plan. Android phones (and especially LTE phones) use a lot of data, so you'll want to use Wifi as often as you can. From the settings page, tap the Wifi icon and set up your Wifi network. Once it's set, it will be remembered and any time you;re in range (and have Wifi turned on) you'll connect and use the Wifi access point for data services instead of 3G or LTE. Besides, Wifi is always fast, stable, and uses a lot less battery than your cell network. Well worth using it if you can. You can do this with any number of Wifi access points, so you can have one for home, one for work, one for McDonald's, etc. Some Google apps come pre-installed on your new Galaxy Nexus, but some other handy ones will need downloaded from the Market. After you've set up your Google account in the initial device set-up, hit the Market and search for things like Google+, Currents, Google Voice, Google Music or any other Google apps you might want to use. The tight integration with Google's cloud and online services is a big part of the Android experience, and you don't want to miss out. Whether you like minimalism, or want to get loud and gaudy, the Nexus is an Android phone -- that means that user customization is almost limitless. Besides changing wallpaper (which there's more than a few in our wallpaper gallery), you can add shortcuts, widgets, live wallpapers, and of course icons for any and all of your favorite apps. Add in a third party launcher (take that Cupertino) like ADW EX and you can even add shortcuts to custom functions and change the size of the home screen grid. If you're coming from another platform, it can be a bit overwhelming, but take your time and try everything -- it's just as easy to remove or uninstall something as it was to add it! 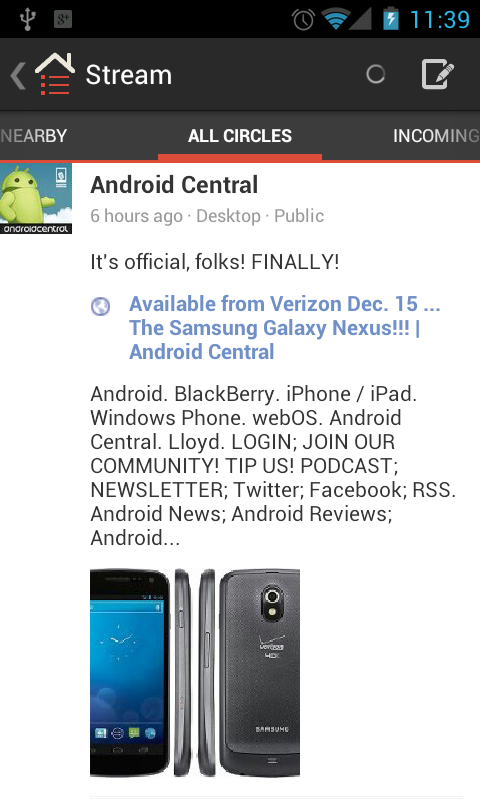 Plain and simple -- we're the best and friendliest Android-centric forums on the web. Our forums chief Cory and all the mods and advisers work hard to make it that way. You'll find the forums are a fun and safe place to share with your fellow Android users, and if you're not careful you might even learn something from some of the helpful developers that call Android Central home. If you're new to Android, you might even want to check out an app called Tapatalk, which gives access to the forums with a more Instant Messenger look and feel and integrated notifications. Cory and Phil got together with the folks at Tapatalk to get things up and running smoothly on the Galaxy Nexus because we all know it's a favorite of our members. Check it out, maybe you'll like it, too.